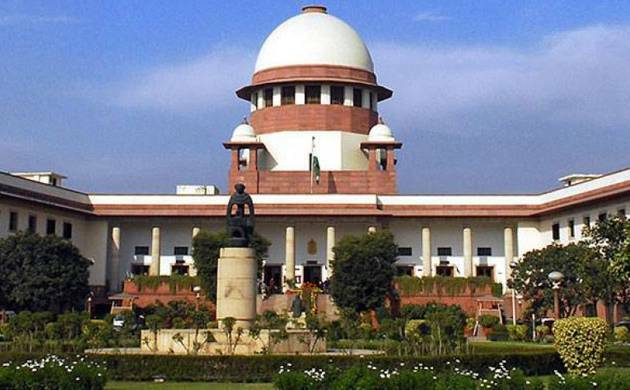 Muslim organisations, including Babri Masjid Action Committee were on Tuesday sceptical about the Supreme Court’s suggestion for talks to resolve the Ayodhya dispute, saying attempts at out-of-court settlement in the past have been unsuccessful. “We are ready with Chief Justice (of India) mediating... we trust him. We are also ready we if he nominates a team for hearing the matter. But out of court settlement is not possible. If SC passes an order in this regard, we will look into it,” said Zafaryab Jilani, Convenor of the Committee which is a party to the case. His comments came against the backdrop of the apex court earlier in the day asking parties concerned to sit together to arrive at a consensus on Ayodhya issue, which has been dragging for decades. “It is a sensitive and sentimental issue and it’s best that it is settled amicably,” the SC observed. Jilani said that going by his experience of last three decades, he feels that the matter cannot be settled outside the court and referred to unsuccessful negotiation attempts made during the tenures of former Prime Ministers Chandrashekhar and P V Narasimha Rao. “Let them hear us, we are prepared. But we are not ready for out of court settlement,” Jilani said. “In 1986, talks started between the then Shankaracharya of Kanchi Kamkoti and President Muslim Personal Law Board Ali Miyan Nadvi but it failed. “Later in 1990, Prime Minister Chandrashekhar, UP Chief Minister Mulayam Singh Yadav and Bhairon Singh Shekhawat talked but no results came. PM Narasimha Rao also constituted a committee and attempts of talks were made through Congress leader Subodh Kant Sahai but in 1992 the mosque was demolished,” he said. He said after the demolition, the then Muslim Personal Law Board President Rabe Hasan Nadvi had sought a written proposal from Shankaracharya of Kanchi in which he said Muslims should leave claim on three mosques, which was not acceptable. “Talks were held earlier also but it can be initiated again. But talks should not be long,” he added. Maulana Khalid Rashid of the AIMPLB alleged that the attempts in the past to resolve the issue were foiled by political parties. “Negotiation have been made in the past a number of times between the two parties. But each time, political parties foiled our attempts...(So), we are of the view that let the Supreme Court decide once and for all,” Maulana Khalid Rashid of the AIMPLB said. Rashid, however, said the Board respects the gesture of the CJI and the sentiments of Hindus. “If the parties wants me to sit with mediators chosen by both the sides for negotiations, am ready to take up the task. Even the services of my brother judges can be availed for the purpose,” Chief Justice J S Khehar, who headed the SC bench, said today. The Allahabad High Court, had in its verdict on September 30, 2010, directed three-way division of the disputed Ram Janmabhoomi-Babri Masjid site in Ayodhya. The verdict was challenged in the apex court.